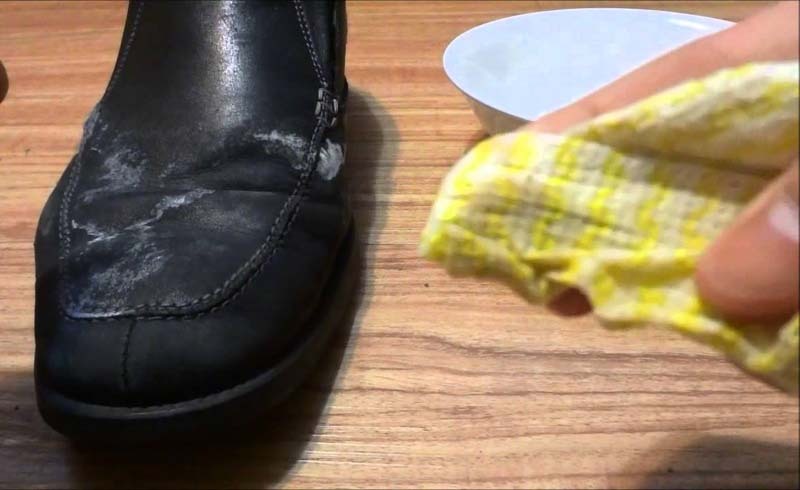 Your shoes can take a beating during winter months. The salt used to melt ice and snow on driveways, sidewalks, parking lots, etc., can help to keep you safe from falling, but it can also leave a nasty white residue on your footwear that doesn’t look great. But don’t toss those otherwise perfectly good shoes! You can clean off the residue quickly with a simple solution that you can make at home. 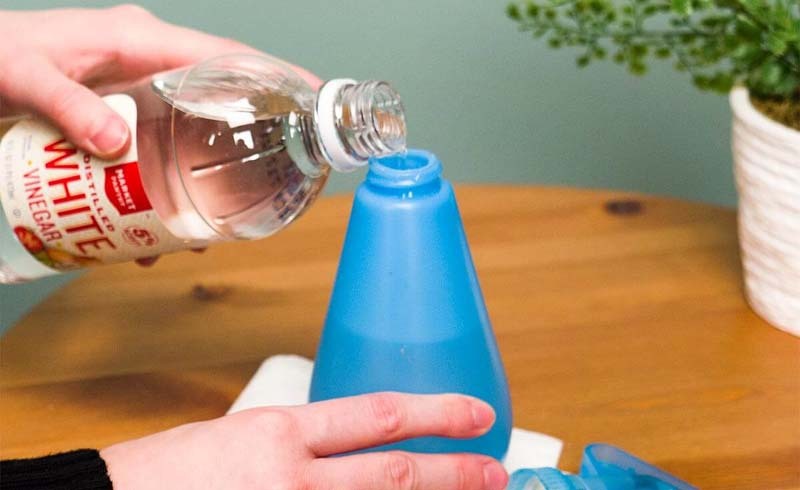 Fill a spray bottle with water and add a couple of tablespoons of white vinegar. Shake it up a bit and spritz the mixture onto a clean paper towel. Gently wipe your shoes, and watch the salt residue disappear. 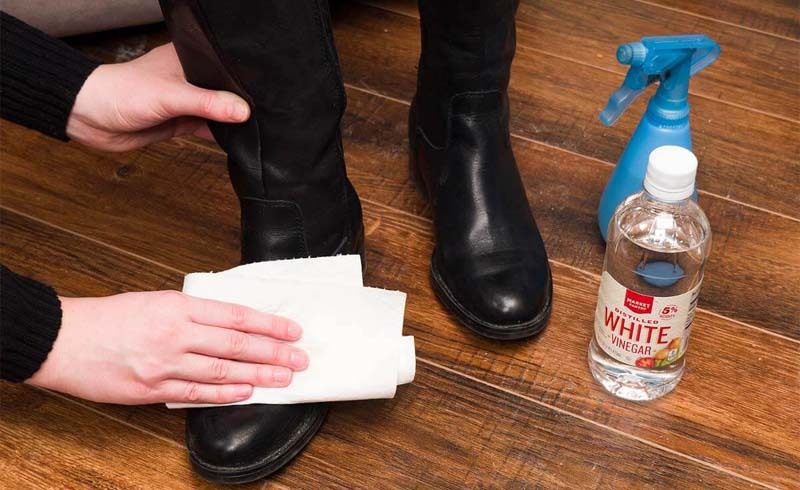 Keep the spray bottle near your shoe collection, so you can clean off your shoes as the season goes.